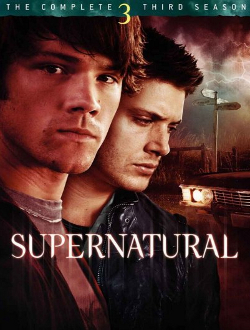 Sam and Dean head to Hibbing, Minnesota, where a young boy witnesses a man disappear. While investigating, Sam is also abducted. Dean pretends to be a police officer in search of his brother, and teams up with Deputy Kathleen Hudak (Jessica Steen). Although she soon learns Dean’s true identity, she allows him to continue investigating with her, as her own brother went missing in the same manner three years before. Despite this, she does not trust him, and handcuffs him to her car when they find the kidnappers’ property. Kathleen is soon captured, and learns that the culprits are a human family who hunt and kill people for sport. Dean frees himself and goes after her, but is also captured. However, this distracts the family long enough for Sam and Kathleen to break out from their cages, and the three of them subdue their captors. When Kathleen is later alone with the father, he taunts her about her brother’s death, and she shoots him, planning to tell the police that he tried to escape. She then allows the brothers to leave before more police and the FBI arrive to take the surviving Benders into custody. Okay I already know that there’s nothing supernatural in this episode. This may be the only episode like that…NO WAIT it isn’t. Okay, so this is one of two episodes that I can think of where humans are the monsters. Well now we know that Dean’s favourite Godzilla movie is Godzilla vs. Mothra. Wasn’t there a super mega creepy episode of X-Files that was a bit like this? I think there was. Oh no Sam is missing! This is not good. 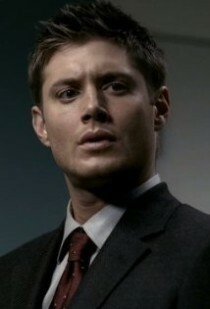 I love the call-back to episode six, Skin, with the shape-shifter: Dean ‘died’ in St. Louis after he allegedly committed murder. Sidebar: Dean’s eyes are pretty dreamy! So this family, the Benders, has Sam trapped in a cage, along with the man (Jenkins) whose disappearance the brothers were initially investigating. I love when Dean, who is semi-working with a cop to find Sam, tracks him down and asks who (what) has done this, Sam tells him, “They’re just people”. Dean heads out to try and find the key to unlock the cages. Dean has felt responsible for Sam, like it’s his job to keep him safe, since he got him out of the house on the night that their mother died. That’s a theme that is explored time and time again on this show, and I love it. Oh boy, Jenkins gets told! “Don’t call me Sammy”. That’s right! Only Dean gets to call him that! And now Jenkins is going to try and make a break for it when the cages mysteriously unlock. I wouldn’t fall for it, guy! Jenkins is definitely doomed. Like Sam tries to tell him, it’s a trap. This family is definitely creepy. They’re major hicks, who hunt humans for fun, and oh yeah, they appear to also be cannibals. It doesn’t seem very sporting to me to injure your ‘prey’ before you hunt, if that’s what they really want to do. Why not give the guy a fair chance to get away? I thought they were supposed to be super hunters or something if nothing but hunting humans holds any challenge or fun for them anymore. And they have a jar of teeth. Gross. I hate seeing teeth like that, just lying around outside of mouths where they belong! Oh no, they caught the cop! What Dean says about humans and monsters in this episode is so true: with monsters, ghosts, etc., there are rules and patterns. With people, “they’re just crazy”. Also, “Demons I get. People are crazy”. Dean puts up a really good fight against the two creepy brothers, but he’s caught. How about you hunt down a toothbrush? Geez! I get it, these are crazy nasty evil murderous hillbillies, but why does any of that have to mean that they don’t seem to believe in bathing or brushing their teeth?? Yes Sam! Fight back! Those fuckers don’t know who they’re messing with! These are the Winchester brothers! Also, I’m totally hearing ‘Eye of the Tiger’ in my head during this fight. So why do they do it? “Because it’s fun”. Monsters! Also, I have to wonder: one father, some brothers, and a young sister with no mother in sight…is there the possibility of inbreeding going on here? I’m glad this show didn’t go there, but one has to wonder, especially when thinking about that X Files episode that this reminds me of (and which, I believe, was directed by Kim Manners, who produced and directed Supernatural). I wonder if this cop is some sort of predecessor for Sheriff Jody Mills? I liked this episode. 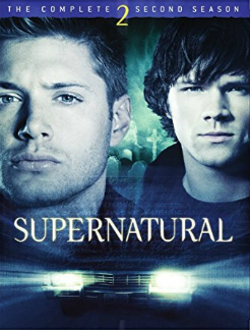 It was creepy because the humans were the evil monsters, and as we’ve seen in a couple of other episodes this season, Sam and Dean have had different viewpoints on how to handle people who hurt other people, with Dean arguing that they’re monsters who need to be put down and Sam saying that they can’t kill humans. -They do mention a spring-heeled jack, although as we know, the ‘monsters’ in this episode are humans.